This article was published in the Issue of February/March 2016. 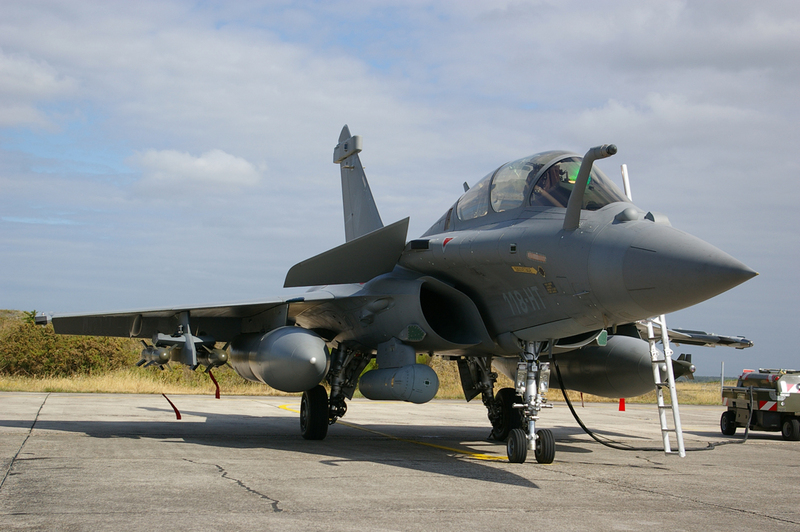 The Maintenance, Repair and Overhaul (MRO) requirements of military aircraft account for a significant portion of defence budgets around the world. 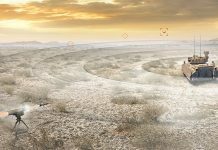 Customers want high reliability and availability from their fighter, helicopter, transport and special mission aircraft, and they want it at a good price. This need to keep their customers flying where and when they need to at low lifecycle costs and via simplified logistics models is increasingly driving aircraft manufacturers to build in easy to maintain and repair capabilities to their aircraft from the outset, thus reducing pressure on MRO budgets in the long term and making their products more attractive from the outset. For existing in-service aircraft this means getting innovative with the services they offer and, increasingly, streamlining MRO provision across customer groups to deliver availability at the right price. 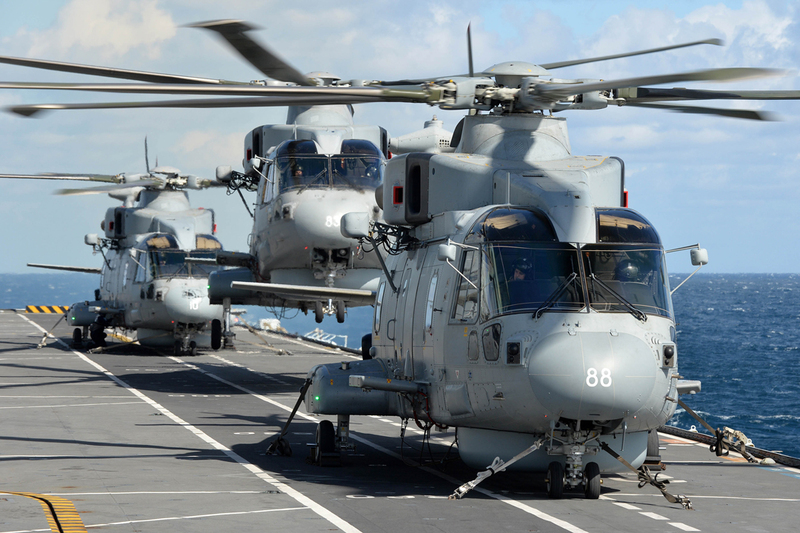 In 2006 the UK Ministry of Defence (MoD) embarked on the first phase of a 25-year contract with AgustaWestland (now Finmeccanica Helicopters) for the operational support of the Royal Navy’s HM.1 and HC.3/A Merlin naval support and medium-lift utility helicopter fleet operated by the Fleet Air Arm (FAA). The contract, known as the Integrated Merlin Operational Support (IMOS) contract, is a total service provision which includes technical support and publications, spares supply, aircraft maintenance, configuration management, safety and risk management. At the time the contract award was expected to deliver support cost savings to the MoD of around $710.9 million over the course of the 25 years. This was to be achieved by introducing a new support model for the fleet, under which AgustaWestland would be paid for achieving flight hours, along with incentivised arrangements associated with delivering agreed levels of aircraft serviceability, operational fleet aircraft numbers and Merlin Training System (MTS) availability. The MTS is an initiative to train HM.1/HC.3/A air and maintenance crews in the aircraft’s operations which uses a number of training tools, including flight simulators, to this end. 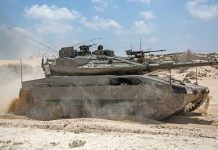 Such a model relies heavily on a partnered approach to achieve value for money for the MoD, and the results of the initial five-year phase were positive. 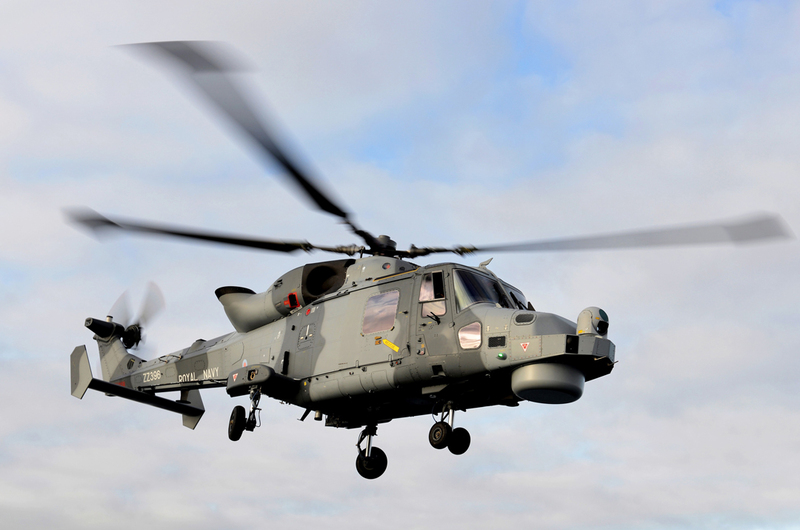 On award of the second five-year phase of the contract in January 2011 (valued at approximately $810.4 million), the company said that together AgustaWestland and the Merlin Project Team had “delivered major support cost savings while enhancing aircraft availability” under the initial phase. 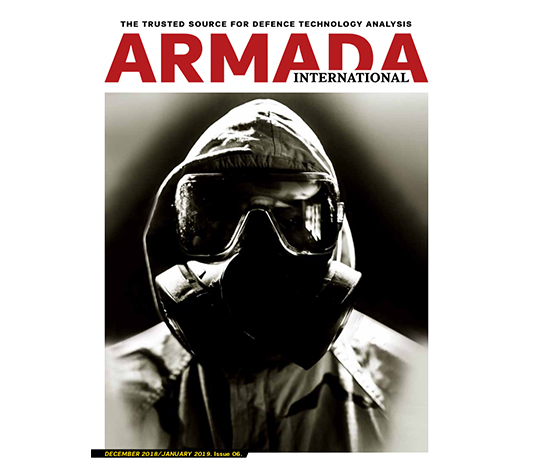 “IMOS is an output requirement-based contract providing aircraft availability which moves away from the traditional spares provision type of contract,” Simon Jones, vice president of UK government business, for Finmeccanica’s helicopter division, told Armada. 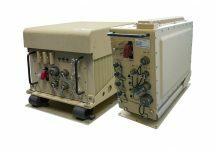 “This incentivises us to improve parts availability and servicing intervals and ultimately reduces the time and cost associated with maintaining the aircraft. The service is continually reviewed and updated in line with customer requirements and identified opportunities to further improve the effectiveness of the service or reduce the overall cost to defence.” The most recent phase of the contract was awarded to the company in March 2015. It is valued at approximately $824.6 million and will run until March 2020. 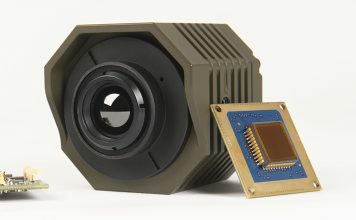 This in-built maintainability is a growing requirement, with customers now paying much more attention to the long term support and training requirements and costs for the platforms they are looking to procure, recognising this is a key element in driving capability up and through life costs down. Regarding fixed-wing aircraft, Boeing has developed a model to support its worldwide C-17A Globemaster-III strategic turbofan freighter fleet that allows it to leverage whole fleet cost savings across its operator base. This model is based on a public-private agreement designed around the concept of Performance-Based Logistics (PBL) in which customers pay for readiness, not specific parts or services. Under the C-17A Globemaster-III Integrated Sustainment Program (GISP), Boeing provides all of its C-17A customers with fully-integrated and affordable solutions that ensure fleet readiness, enhance aircraft capability, extend platform life and reduce lifetime cost-of-ownership. 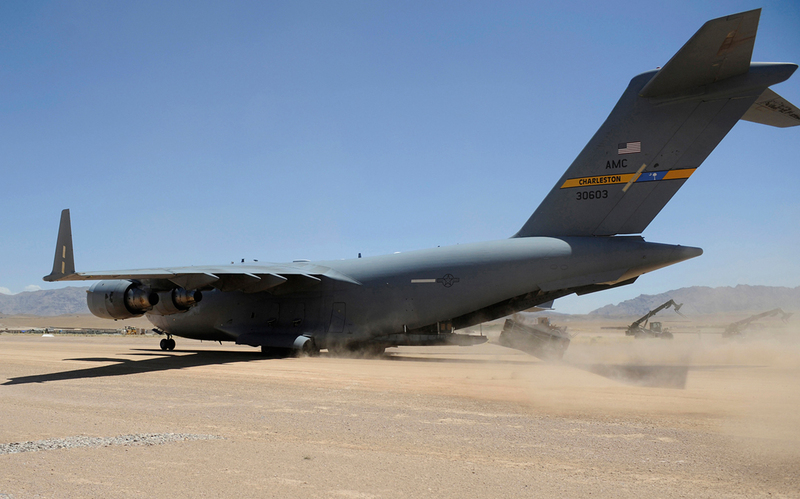 The arrangement ensures mission readiness by providing all C-17A customers with access to an extensive support network for worldwide parts availability, and has delivered some impressive statistics for a global fleet that logged its three millionth flight hour in May 2015 supporting military, humanitarian and disaster relief missions around the world. Beyond freighters, fighters are increasingly supported under centralised programmes that allow the suppliers to offer economies of scale. In December 2015 Saab received an order from the Försvarets Materielverk (FMV/Swedish Defence Materiel Administration) to provide MRO and continuing development work for Saab JAS-39C/D Gripen fighter operations during 2016 on behalf of the Flygvapnet (RSAF/Royal Swedish Air Force). 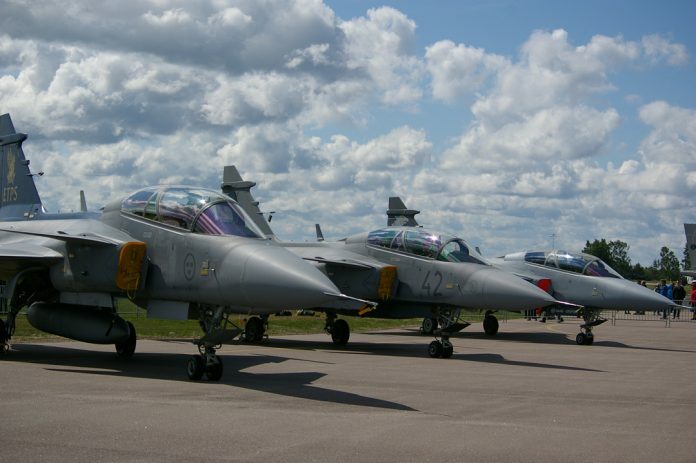 The order, part of exercised options of a framework contract signed between Saab and the FMV in December 2013, will see the company operate rigs, simulators and test aircraft for the verification, validation and operational support of the JAS-39C/D and the forthcoming JAS-39E/F fighter due to enter RSAF service before the end of the decade. The overall goal for its customers, Mr. Bergkvist said, is aircraft availability, low lifecycle costs, a small logistics footprint, simplicity and, perhaps most importantly, affordability. Reducing support costs while securing high availability and increasing system functions is driving Saab to invest in key technologies, including improvements of built-in testing capabilities, reduction of maintenance requirements, increased reliability, redundancy, and improvements regarding the development and management of technical information.